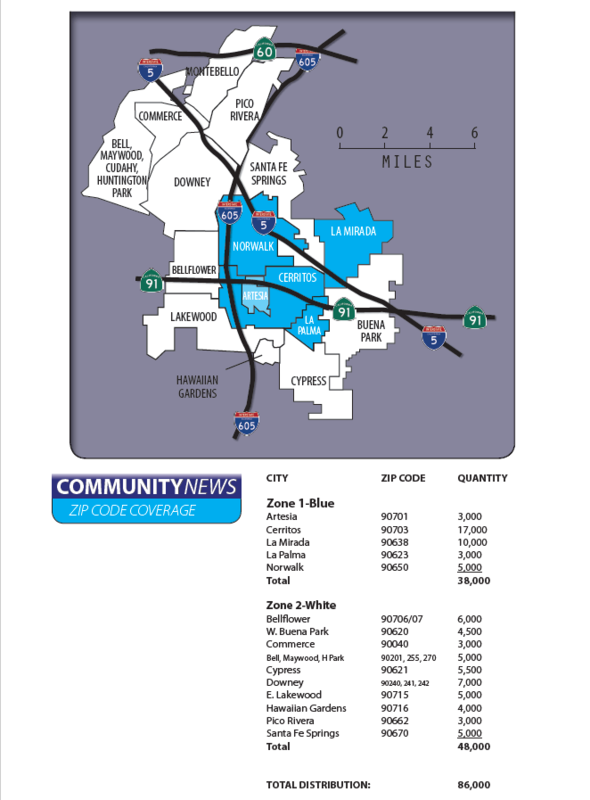 Los Cerritos Community News is hand delivered to 86,000 area homes every Friday. Paid newspapers such as the Los Angeles Times or Long Beach Press Telegram are delivered to less that 15% of the homes in our area and cost 66% more. Deliver your advertising in a 12-time Los Angeles Press Club Award winning newspaper with relevant local news…..or a “non-subscriber” product with advertising only? LCCN has more 75% more circulation than any paid subscription newspaper and cost 66% less! LCCN is the most trusted community newspaper in Southern California let us help you increase your business.